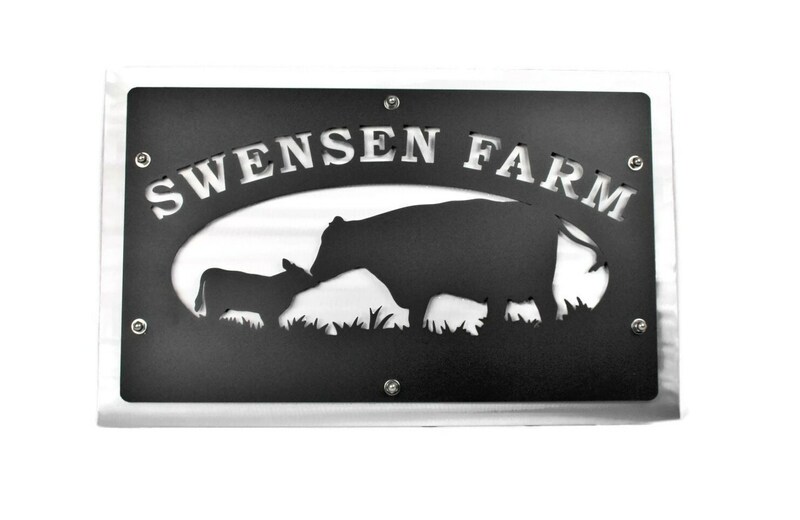 Our new customized cow and calf farm sign is a beautiful addition to the front of your home or your driveway! 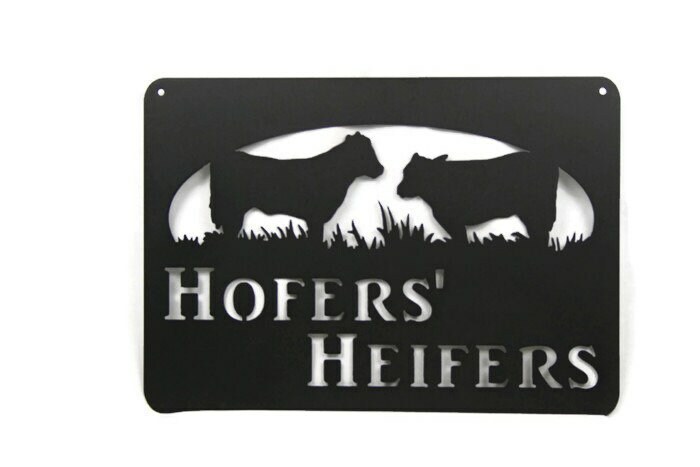 Perfect for the farm, ranch or your retirement home. 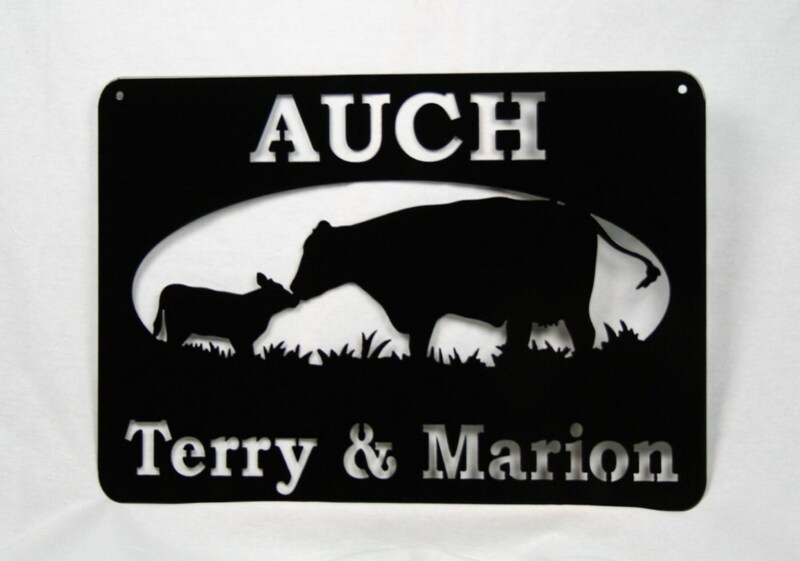 Metal sign includes your choice of text on one or two lines -- above or below the graphics. Characters are limited, but feel free to get creative with your message. Select if you would like the cow and calf, two cattle or a bull for your graphics. If you prefer text above or below the opening please make a note of it during checkout. Also leave your entire text in the notes. 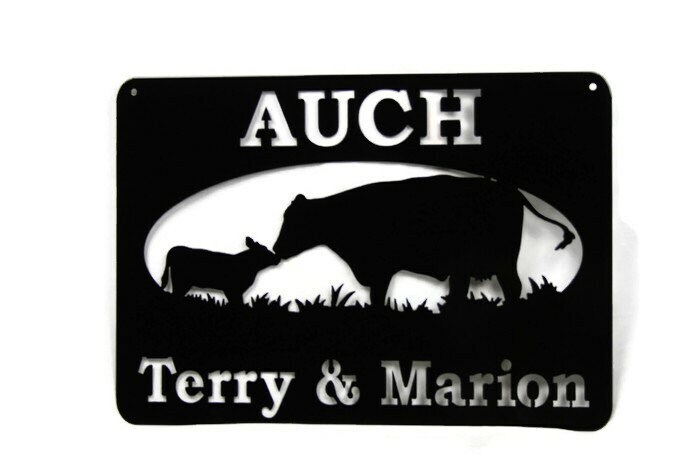 Custom address sign is powder coated in your choice of color to complement any decor. 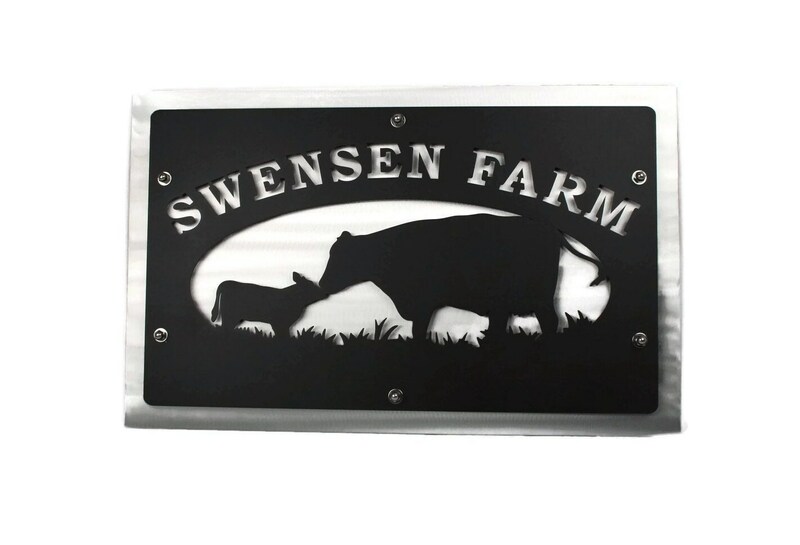 At 24" wide it is a great size for the end of your driveway or against the barn door. NOW AVAILABLE with an aluminum layer behind the sign! The polished aluminum adds a flash for great visibility! Love the sign but looking for a different graphic? Contact us to customize this style. 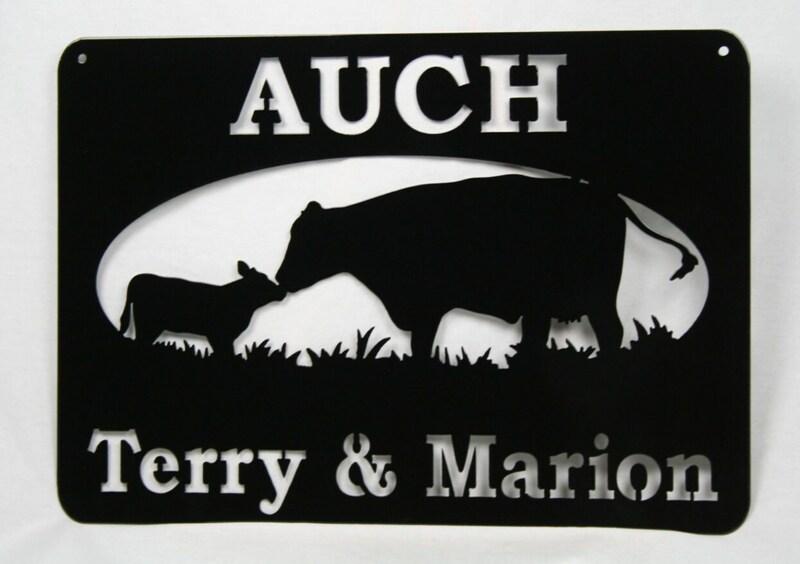 We can offer different animals, vary the font style or even price out a large size.